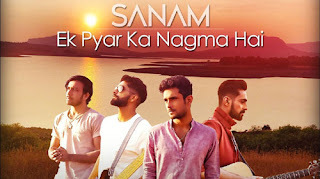 Ek Pyar Ka Nagma Lyrics – Sanam: Presenting the new song from the band Sanam. This is a recreated version of the old classic "Ek Pyar Ka Nagma Hai” from 1972 movie Shor. The Original song was sung by Mukesh & Lata Mangeshkar and composed by Laxmikant Pyarelal. Ek Pyar Ka Nagma Lyrics – Sanam: Presenting the new song from the band Sanam. This is a recreated version of the old classic "Ek Pyar Ka Nagma Hai” from 1972 movie Shor.